In celebration of Apple's first product launches of 2016, AI readers this week can use exclusive coupons and offers to grab the lowest prices anywhere on Apple's latest 11", 12", 13" and 15" MacBooks, MacBook Airs and MacBook Pros. Many also come with free accessories like Apple Super Drives, AirPrint Photo Printers, and USB-C early adopter kits. Plus free shipping and no sales tax for most customers. Apple authorized reseller Adorama this week is exclusively offering AppleInsider readers $160-$310 off AppleCare extended warranty protection plans plus a free LG super drive, free Apple USB-C Type Adapter, and free USB hub with the purchase of each new 12" MacBook. What's more, each bundle also ships free and Adorama won't collect sales tax on your order if you ship it outside NY and NJ. 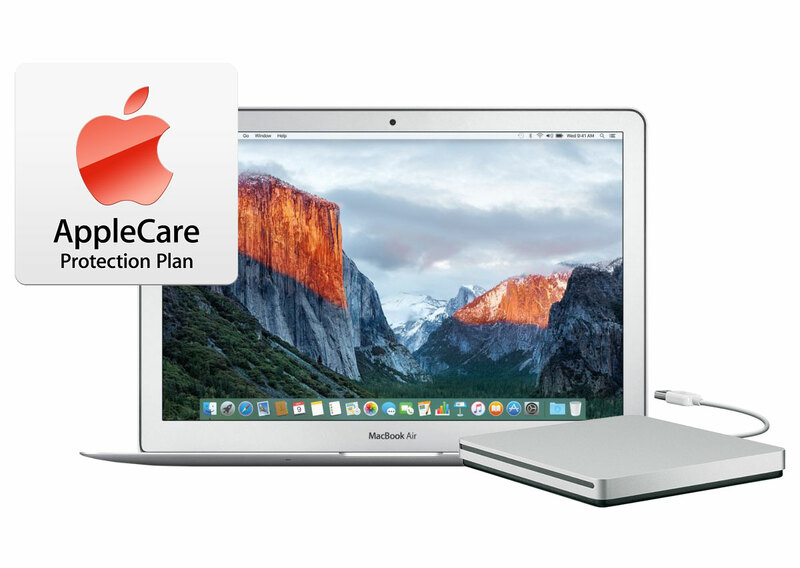 This offer delivers the lowest prices anywhere for 12" MacBooks with one of Apple's popular AppleCare extended protection plans, as can be seen in our Macs with AppleCare Price Guide. To take advantage of this offer, please follow the step-by-step instructions below and during checkout (right before your payment info) apply promo code APINSIDER to get the advertised price. Below is a list of all 12" MacBook configurations that include at least 70% off AppleCare plus the 3 free accessories. The discounts listed in red are the discounts for the 12" MacBook with AppleCare when compared to Apple's pricing for the same bundle. It does not factor in the discounts from the 3 free accessories or any tax benefits, all of which are additional savings. In total, most shoppers will realize a net savings of between $305 and $375 when compared to purchasing these same bundles at an Apple Store a full price with tax. 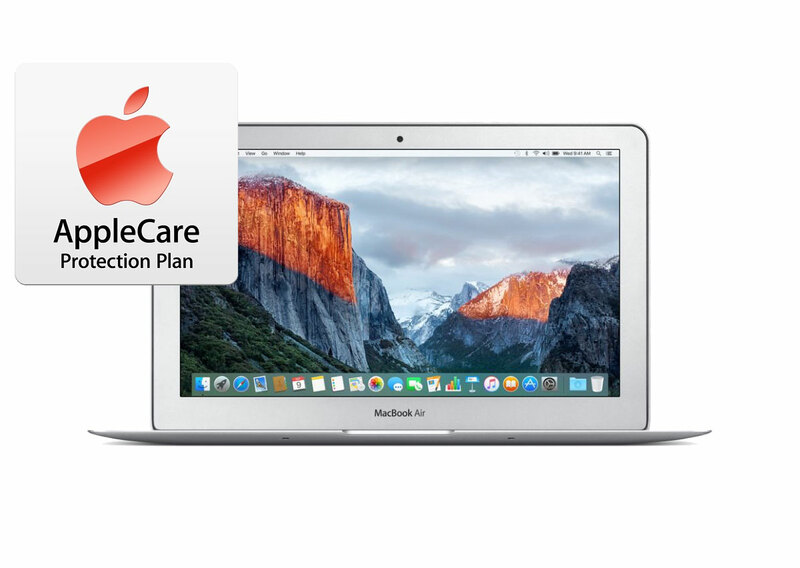 Below are a list of Apple's current 13" MacBook Airs bundled with Apple's popular AppleCare extended protection plan at the lowest prices available anywhere from Apple authorized resellers. With the exception of one model from Apple authorized reseller B&H, which is discounted $150 this week, the remainder of the bundles come from Apple authorized reseller Adorama and also include a free Apple Super Drive on top of the $50 discount on the AppleCare plan when you use our links, promo code, and follow the instructions below. 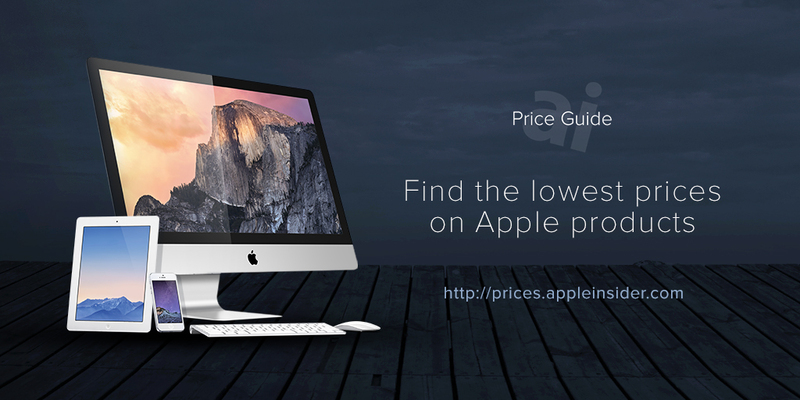 These links and offers are the same ones listed in our Macs with AppleCare Price Guide. The discounts listed in red are the discounts for the 13" MacBook Air with AppleCare when compared to Apple's pricing. It does not include the discount for the free Apple Super Drive ($79 value) or any tax incentives, which are additional savings. In total, most shoppers realize a net savings of between $204 and $268 when compared to purchasing these same bundles at an Apple Store at full price with tax. % Adorama price after promo code APINSIDER when following the instructions below. No sales tax outside NY & NJ. B&H Price. No sales tax outside NY. 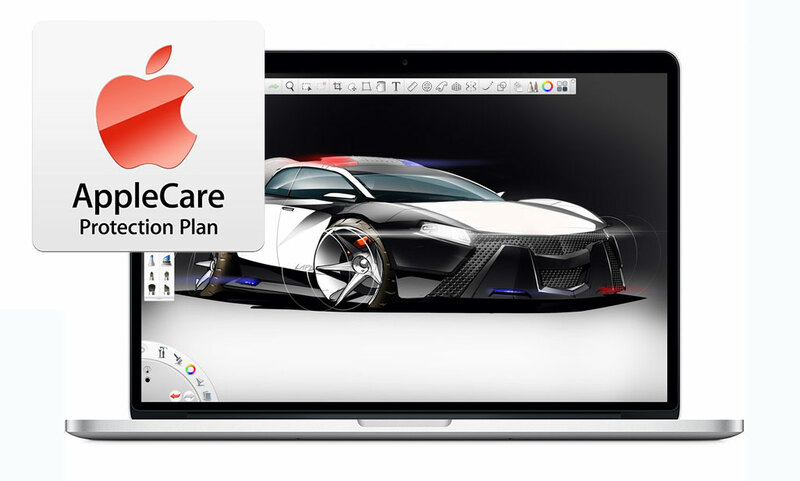 You must manually add the AppleCare plan for $229 once the Mac is in your cart. + Free shipping and no sales tax on orders shipped outside NY. For all remaining configurations, the same APINSIDER promo code will knock an additional $35 off Adorama's already reduced pricing on all Early 2015 13" MacBook Airs. Simply follow the same set of instructions below, but click through the Adorama pricing links in our regular Mac Price Guide during step 3. 2) This deal requires that you be an existing Adorama customer. If you haven't purchased something from Adorama before, making a quick purchase for something else you may need (like a $0.99 lens cleaning package with free in store pickup should do the trick). When you complete that order, you will then be logged in as an existing Adorama customer that can take advantage of this exclusive Mac deal. Also this week, Apple authorized reseller Adorama is exclusively offering AppleInsider readers the lowest prices anywhere on all of Apple's current 13" MacBook Pros bundle with one of Apple's popular AppleCare extended protection plans —you can see how these prices stack up against other top Apple authorized resellers by visiting our Macs with AppleCare Price Guide. What's more, each bundle also ships free and Adorama won't collect sales tax on your order if you ship it outside NY and NJ. To take advantage of this offer, please follow the step-by-step instructions below and during checkout (right before your payment info) apply promo code APINSIDER to get the advertised price. 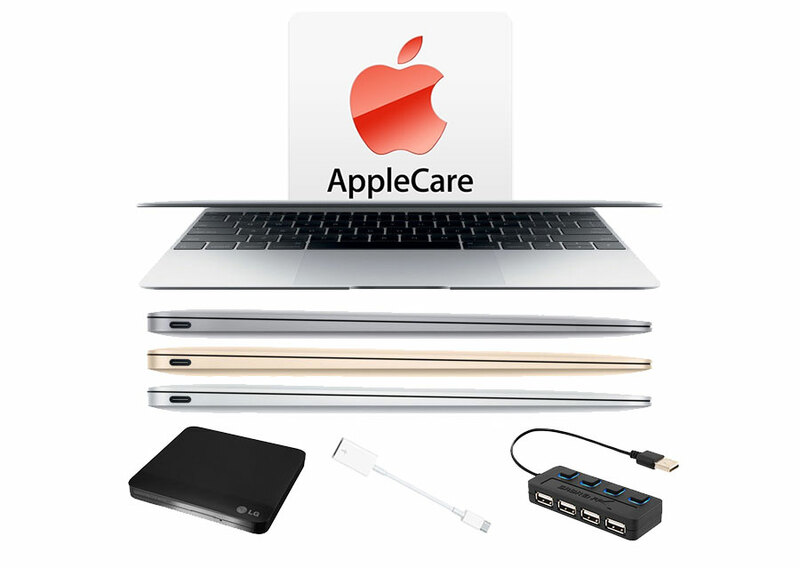 This offer delivers the lowest prices anywhere from an Apple authorized reseller for these MacBooks with AppleCare. The only caveat is a few models are temporarily on backorder. Below are all of the 13" MacBook Pro configurations with AppleCare at these industry low prices. The discounts listed in red are the discounts for the 13" MacBook Pro with AppleCare when compared to Apple's pricing. In total, most shoppers realize a net savings of between $323 and $457 when compared to purchasing these same bundles at an Apple Store at full price with tax. + B&H Price. Free shipping and no sales tax on orders shipped outside NY. * MacMall price with promo code APPLEINSIDER01. Tax collected in most states. For all other models, the same APINSIDER promo code from above will knock an additional $50 off Adorama's already reduced pricing on all Early 2015 13" MacBook Pros. Simply follow the same set of instructions below, but click through the Adorama pricing links in our regular Mac Price Guide during step 3. Additionally, MacMall offers AppleInsider readers an additional 2% off all of its 13" MacBook Pro prices listed in the same price guide with promo code APPLEINSIDER01. 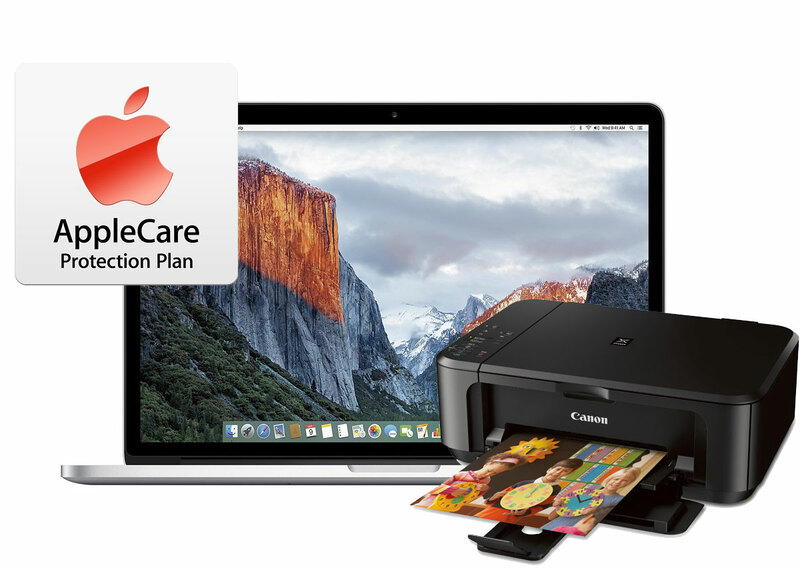 Apple authorized reseller Adorama this week is also exclusively offering AppleInsider readers $190-$430 off all current 15" MacBook Pros bundled with an AppleCare extended protection plan and a free Canon PIXMA MG3520 Wireless AirPrint Inkjet Photo All-in-One Printer. What's more, each bundle also ships free and Adorama won't collect sales tax on your order if you ship it outside NY and NJ. These are the absolute lowest prices available anywhere for 15" MacBook Pros with AppleCare, according to our Macs with AppleCare Price Guide. Below are all of the 15" MacBook Pros configurations bundled with AppleCare and a free Canon PIXMA MG3520 Wireless AirPrint Inkjet Photo All-in-One Printer. The discounts listed in red are the discounts for the 15" MacBook Pro with AppleCare when compared to Apple's pricing. It does not include the discount for the free Canon PIXMA MG3520 Wireless AirPrint Inkjet Photo All-in-One Printer or any tax incentives, which are additional savings. In total, most shoppers realize a net savings of between $441 and $697 when compared to purchasing these same bundles at an Apple Store at full price with tax. For all other configurations, the same APINSIDER promo code will knock an additional $50 off Adorama's already reduced pricing on all Mid 2015 15" MacBook Pros. Simply follow the same set of instructions below, but click through the Adorama pricing links in our regular Mac Price Guide during step 3. Apple authorized reseller Adorama this week is also offering AppleInsider readers between $190-$254 off all of Apple's current 11" MacBook Airs that come bundled with one of the company's popular AppleCare extended warranty protection plans after this $50 Mail-in-Rebate. What's more, each bundle also ships free and Adorama won't collect sales tax on your order if you ship it outside NY and NJ. To take advantage of this offer, please follow the step-by-step instructions below. % Price after this $50 Mail-in-Rebate and the instructions below. The $50 Rebate is issued as a pre-paid $50 card that can be used to make purchases anywhere a credit card can be used. It cannot be used at an ATM to redeem cash. The average lead time from when you submit your rebate application to when you'll receive your card is approximately 8-10 weeks.